About five hours after I changed my pump site, I got an alarm for a low battery. Every time the pump would beep at me, I’d be in the middle of something, like driving. I should’ve set an alarm to change it, but I didn’t. I kept going with my day and I met my friends for dinner and I went to remote bolus and the meter wouldn’t talk to the pump because the pump was dead. I may have yelled a few expletives and started thinking of solutions. I didn’t have a needle or any spare insulin either. I was already over 200 as well. The only solution that I could think of was to go home. There was this problem and I just couldn’t see any solutions other than the worst one. I really dislike having to take the whole thing apart just to put a new battery in. My friend said “why don’t you just go to the gas station?” I ran down to the gas station, got my batteries and ran back to dinner. Then danced in the bathroom waiting for the pump to rewind and all that nonsense that has to happen when you replace a battery in an Animas not at site change time. I didn’t realize how weird I probably sounded to the others in the bathroom until I was nearly done. When I came out my friend asked what I would’ve done if the gas station didn’t have batteries. I grumbled something about going home. She told me that I was being ridiculous and that they would’ve found me a pharmacy. It seemed so obvious. It was so obvious. 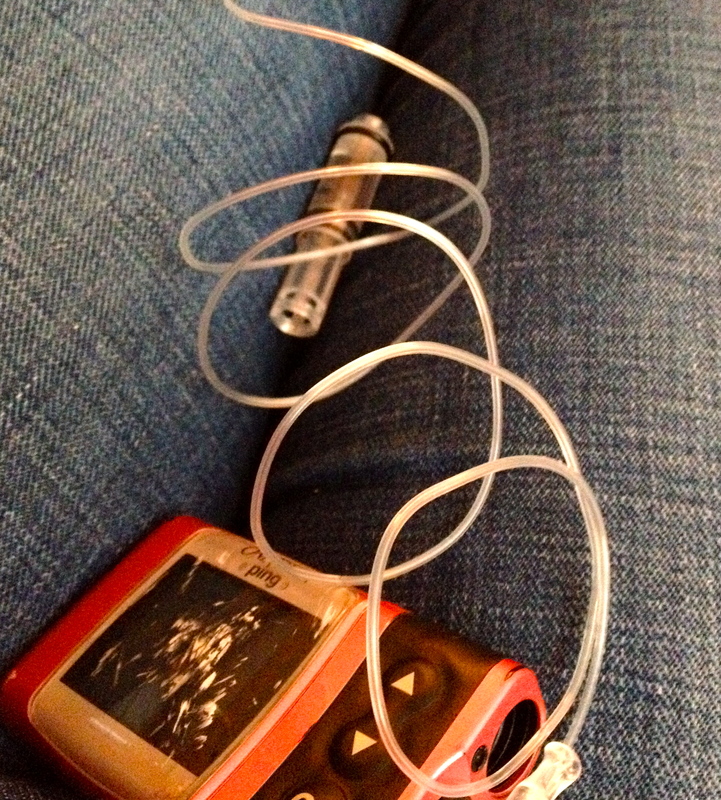 Does anyone else have trouble problem-solving when it comes to diabetes problems? Sometimes I have trouble thinking out of the box… I totally get it. Glad the problem got solved. Yes! This is a super old picture. But of a public pump change. I’m so glad you got electrified. I think we don’t want to ask for help, like w a ride to the pharmacy, for fear of putting our friends out when in reality they would love to help. I have to learn to be accepting of help and to ask for help more than I currently do. Glad u got ur battery!!! !